“Forty-two” might sound like an insignificant number to most. But for one North Korean Christian, this abstract figure is the very thing that identifies who she is. “Prisoner 42” is the simple name that was assigned to one anonymous North Korean inmate on the day this faithful believer in Jesus walked into the squalid prison she now calls home. “The name I was born with in North Korea was the first thing they took away from me when I arrived here in this North Korean prison,” Prisoner 42 told Open Doors USA in a recent interview. Speaking of the harsh treatment she has received at the facility, the inmate explained how she is “beaten and kicked” on a daily basis. “It hurts the most when they hit my ears. My ears ring for hours, sometimes days,” she said. “Are you a Christian?” they scream. Tragically, despite wholly trusting in Jesus Christ, “42” is unable to confess her love for the Lord while within the confines of North Korean incarceration. “They will murder me in this North Korean prison,” she added. With the confiscation of all her earthly possessions, Prisoner 42 has absolutely nothing to help fill the hours she endures in solitary confinement. There is just one comfort, she says, and that is prayer. How could I follow in the footsteps of my God? Despite the relentless hardship and suffering that Prisoner 42 has had to endure, she also recalled moments of hope and joy when encountering fellow Christians behind the barbed wire of her concentration camp. Holed up in her bed during a period of illness, 42 noticed a figure, cloaked in a blanket, in the corner of her barracks. When she went to investigate the mystery person, she heard unearthly noises — the person was praying in tongues. “I went back to my mattress and watched her for days,” 42 recalled. Then, eventually, she plucked up the courage to go and engage with the anonymous Christian woman. “Hello, greetings in Jesus’ name,” she said boldly. “Fortunately, I could calm her down quickly before her gasps alerted the guards,” she added. Soon, a friendship, and a clandestine congregation, began to flourish. Tragically, one day, the sister-in-Christ was shipped off to a maximum-security prison. At the moment, 42 knew that she would never set eyes on her dear friend again. Still, despite the testing circumstances, there is hope for Prisoner 42. “God has watched over me here in this North Korean prison, and I pray and believe that he also watches over my family every second of every minute of every hour of every day,” concluded 42, adding that she is excited to share Jesus with them upon their reunion. 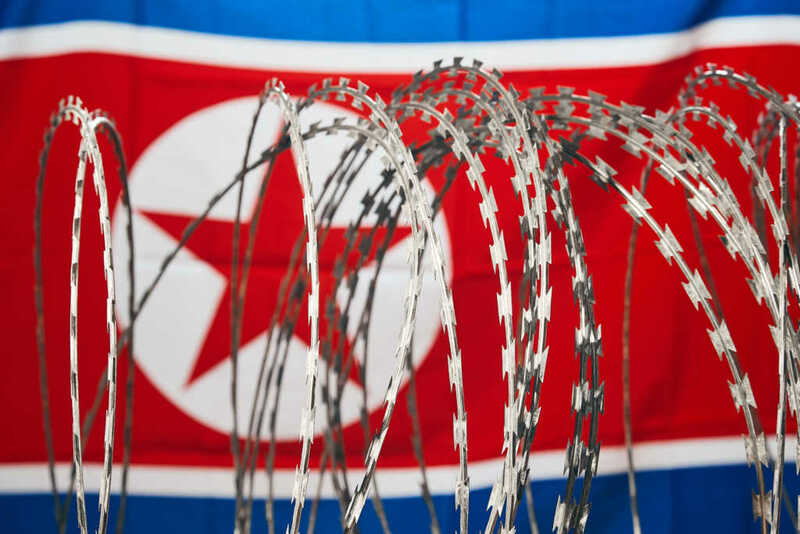 North Korea, as our readers may well know, is commonly understood to be the most oppressive place on Earth for Christians — something that was confirmed once again by Open Doors USA’s World Watch List. For the 18th year in a row, North Korea topped the rankings. By all accounts, North Korea is a hellish place for Christians to live. As such, the faithful believers, such as Prisoner 42, who continue to endure fierce persecution for believing in Christ, must have our prayers at all times. Read the full story of Prisoner 42 at Open Doors USA. You can also view the 2019 World Watch List here.